What inspired the beginning of the idea was terrible gym music and the thought of a automatic music selection based on the tastes of people in the vicinity. Our end goal is to sell a hosting service to play music that people in a local area would want to listen to. The app has two parts. 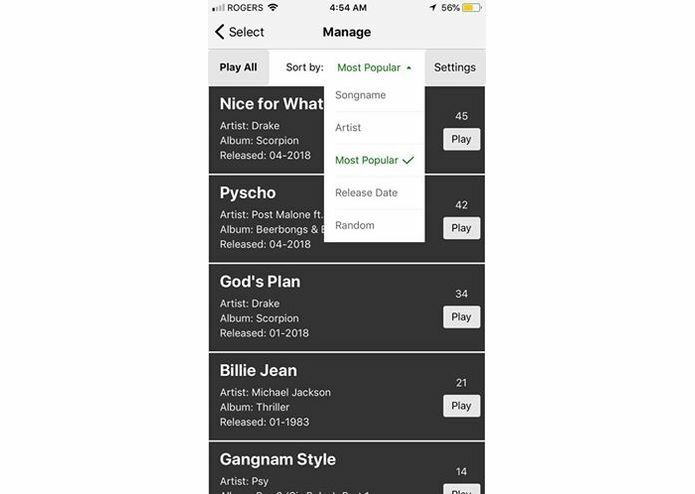 A client side connects to Spotify and allows our app to collect users' tokens, userID, email and the top played songs. These values are placed inside a Mongoose database and the userID and top songs are the main values needed. The host side can control the location and the radius they want to cover. This allows the server to be populated with nearby users and their top songs are added to the host accounts playlist. The songs most commonly added to the playlist have a higher chance of being played. 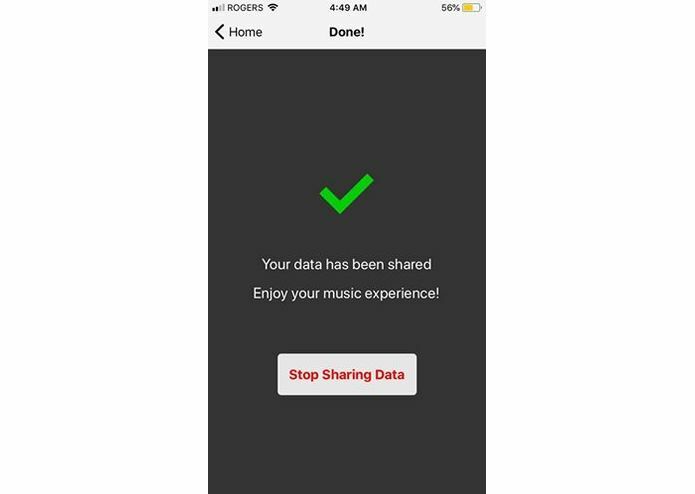 This app could be used at parties to avoid issues discussing songs, retail stores to play songs that cater to specific groups, weddings or all kinds of social events. Inherently, creating an automatic DJ to cater to the tastes of people around an area. 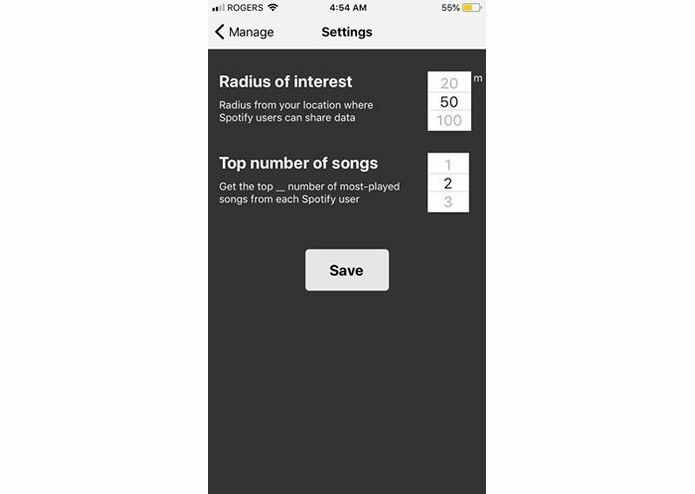 We began by planning and fleshing out the app idea then from there the tasks were split into four sections: location, front end, Spotify and database. 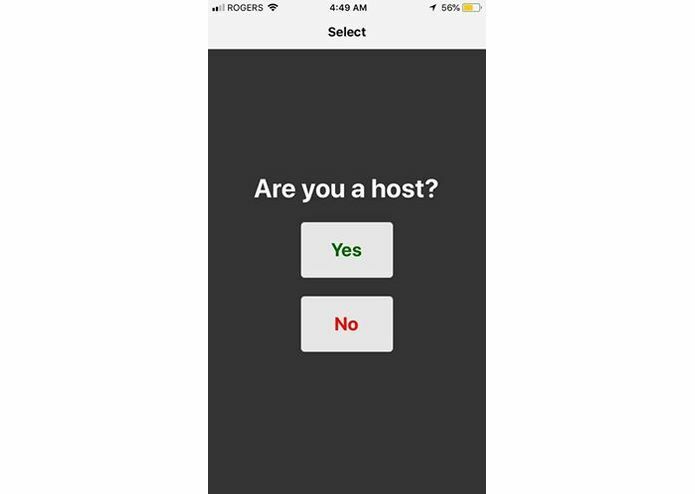 At this point we decided to use React-Native for the mobile app and NodeJS for the backend was set into place. 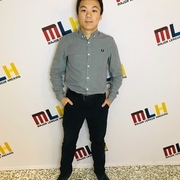 After getting started the help of the mentors and the sponsors were crucial, they showed us all the many different JS libraries and api's available to make life easier. Programming in Full Stack MERN was a first for everyone in this team. We all hoped to learn something new and create an something cool. We ran into plenty of problems. We experienced many syntax errors and plenty of bugs. 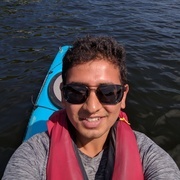 At the same time dependencies such as Compatibility concerns between the different APIs and libraries had to be maintained, along with the general stress of completing on time. In the end We are happy with the product that we made. Learning something we were not familiar with and being able to make it this far into our project is a feat we are proud of. .
We hope to add more features and see this application to its full potential. We would make it as autonomous as possible with seamless location based switching and database logging. Being able to collect proper user information would be a benefit for businesses. 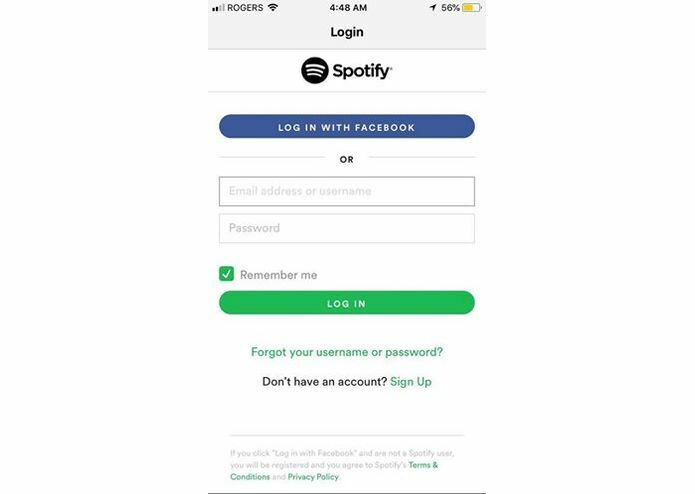 There were features that did not make it into the final product, such as voting for the next song on the client side and the ability for both client and host to see the playlist. 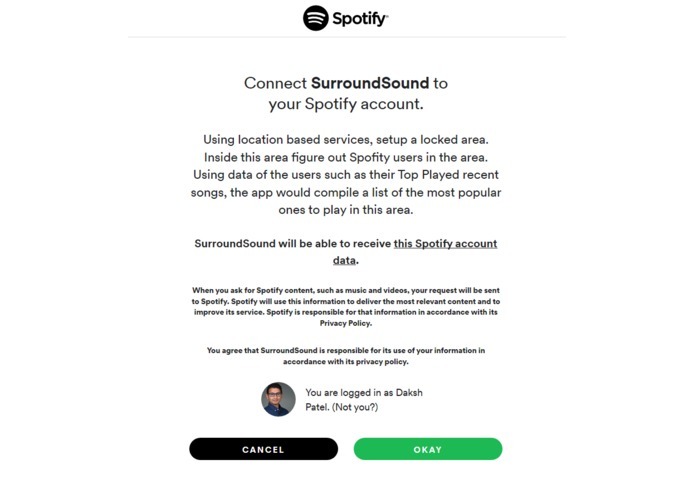 The host would have more granular control such as allowing explicit songs, specifying genres and anything that is accessible by the Spotify API. While the client side can be gamified to keep the GPS scanning enabled on their devices, such as collecting points for visiting more areas. I am happy to have worked on the Spotify API alongside Joshua. In addition I was able to include the MongoDB/Mongoose database and Heroku server infrastructure. Glad to work with everyone and take hold of learning the languages in our own way. And a very big thank you to the sponsors and mentors for their guidance. I worked on getting the Spotify API working and successfully integrated into our application. 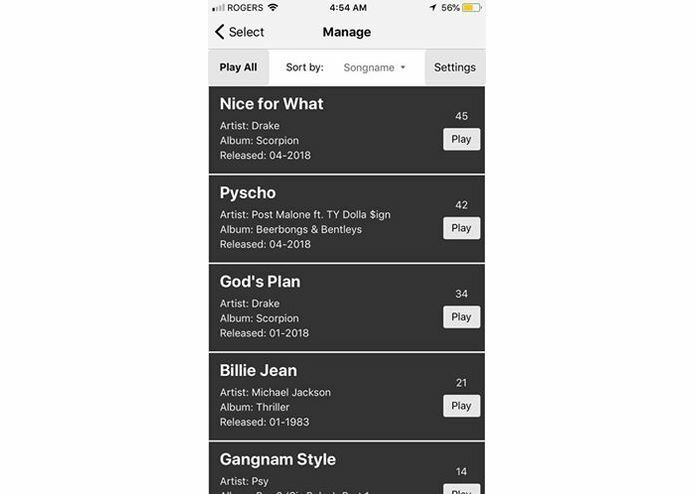 I worked on the front-end user interface of the application, written in React Native, and helped integrate location services, and read Spotify data from the database using the Postman API. I worked on developing the location services to detect when users are within range of a host's radius.